SimpleStats is designed as a simple and smart stat comparison AddOn. The core design philosophy is showing only stat changes you care about, and only when you care about them. For example, if you're playing a Hunter, you won't see stat comparisons on axes or plate armor, nor will you see stat changes for Intellect or Dodge (although you can enable all of those if you really want). You can also configure it to hide stat comparisons if the ItemLevel of the item is lower than what you already have. In short, if you see stat comparisons in an item tooltip, it's probably an upgrade. SimpleStats only shows the raw stats, as they appear in the tooltip. It's not for you if you want stat conversions (haste % from rating for example) or if you want a "score" system to see exactly which pieces of gear are upgrades for your class and specialization. It also does not take into account gems or enchants; it only compares the base item. SimpleStats will put stat comparisons in an item's tooltip, comparing the item's stats to your currently equipped item's stats. Tooltips are placed inside the item's tooltip itself for maximum ease-of-use, instead of in the compare tooltip (the one that appears when you hold Shift) like Blizzard's does. You can customize which stats should be shown, what quality items it shows up on (i.e. only epics), and what kind of gear it shows up on (i.e. only gear that's actually useful to you). It uses Ace3 for profiles, allowing you to save and load presets. By default, all stats will be shown, but only on gear useful to your current class and specialization (i.e. for a Hunter it will show on guns, but not staves). To further customize the stats that are shown, type /ss or /simplestats. 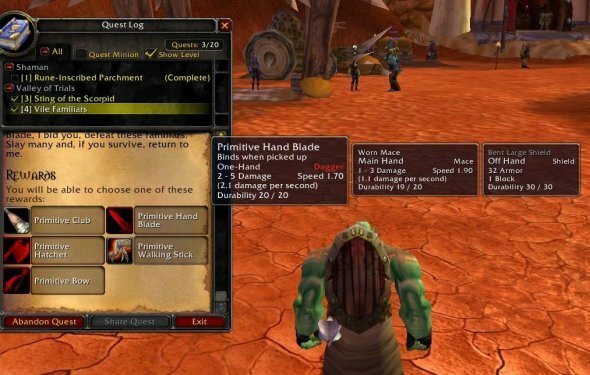 The following assumptions are made for new Legion content. If you know any of them to be false, please message me! Demon Hunters can equip daggers, 1H maces, 1H swords, 1H axes, fist weapons, and warglaives, but only warglaives are useful to them. Demon Hunters can equip cloth and leather, but only leather is useful to them.